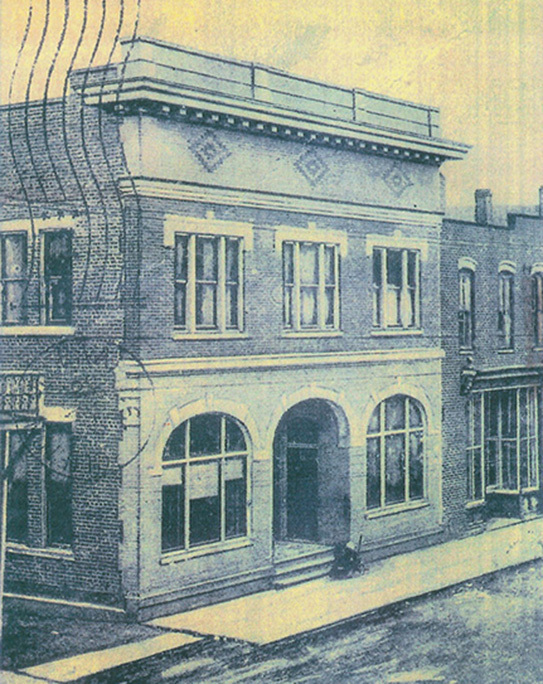 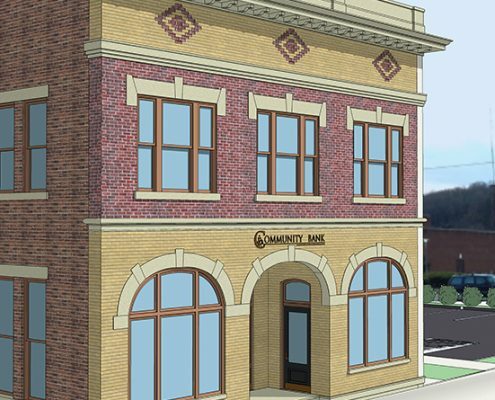 The Peoples Bank of Buena Vista is a two-story brick commercial building that was constructed in 1907 and is representative of Buena Vista’s development into a market town. 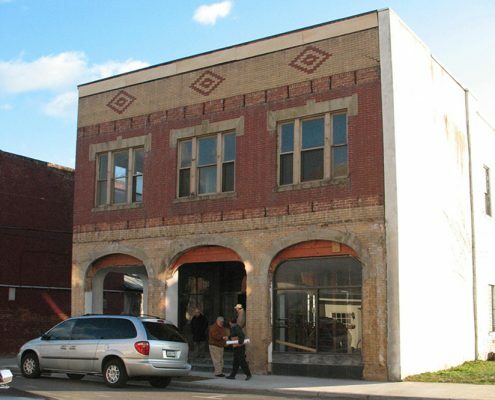 Its classical design is expressed through arched openings and tripartite windows on the facade and traditional three-part commercial design. The building façade had been altered and then completely covered up in the 1970s. 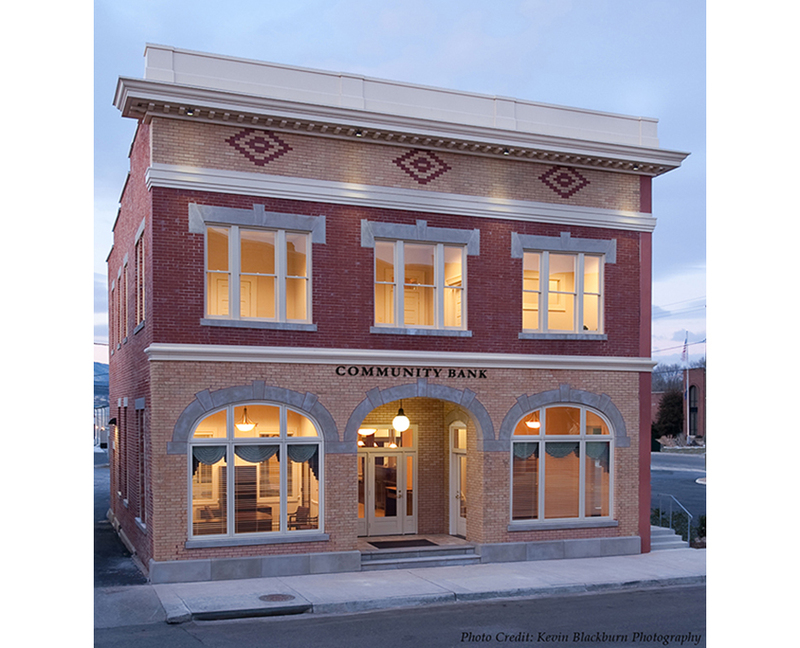 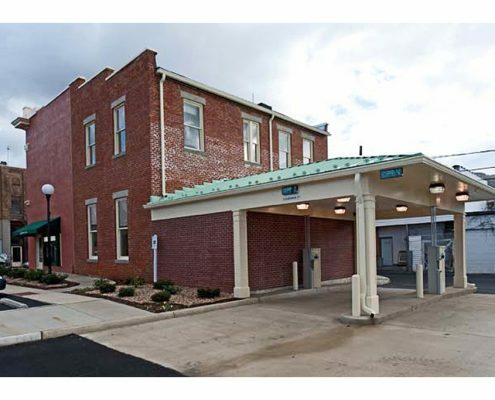 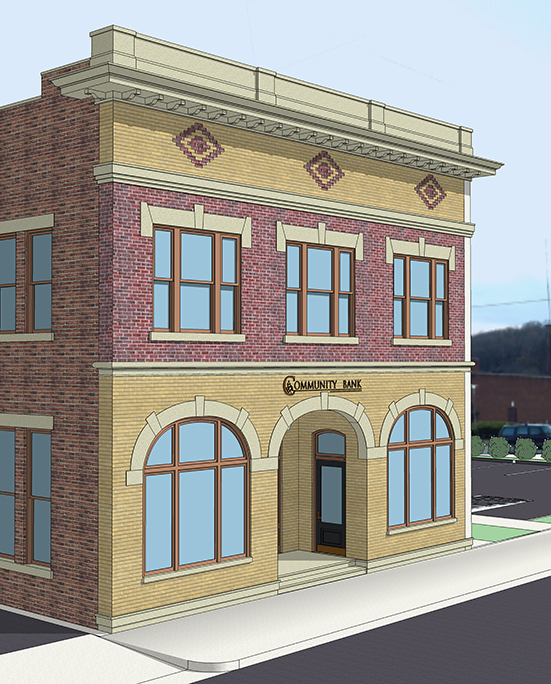 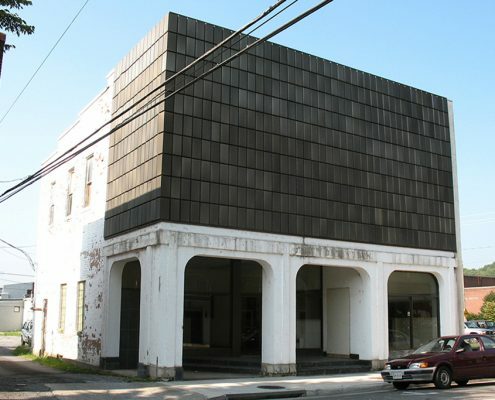 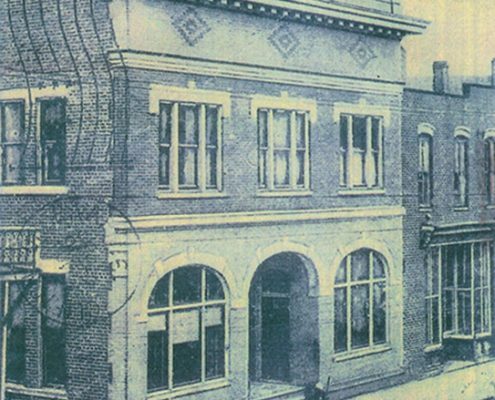 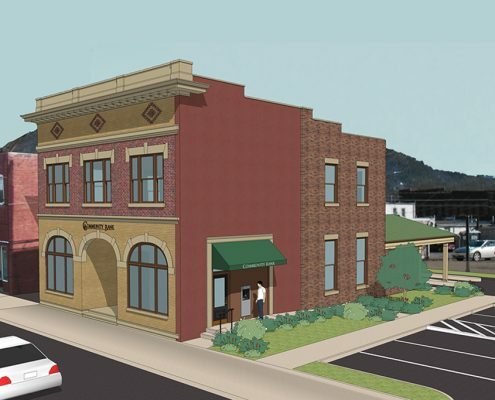 Frazier Associates was retained by Community Bank (now City Bank) to rehabilitate the vacant building into a twenty-first century bank and restore the façade to its original appearance. Computer modeling renderings helped illustrate the proposed project before work began. 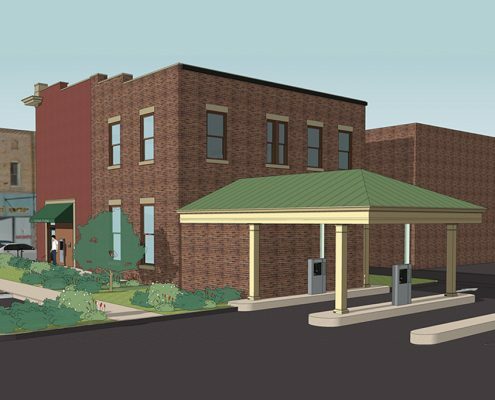 Community Bank also provided leadership and support of the historic district designation for the entire downtown area. The project won several preservation awards: 2010 Restoration and Adaptive Reuse Award, Historic Lexington Foundation; 2010 Award of Excellence, APVA/Preservation Virginia Ruth Anderson McCullough Branch; and a 2011 Better Models for Development Award from the Valley Conservation Council.